In my quest to switch over to healthy snacks here in India, I have decided to replace unhealthy biscuits with (relatively) healthy ones. My definition of a healthy biscuit is – it should not be made of maida, it should have limited sugar (should not be overly sweet), and it should not contain cream, chocolates, and other unhealthy toppings. 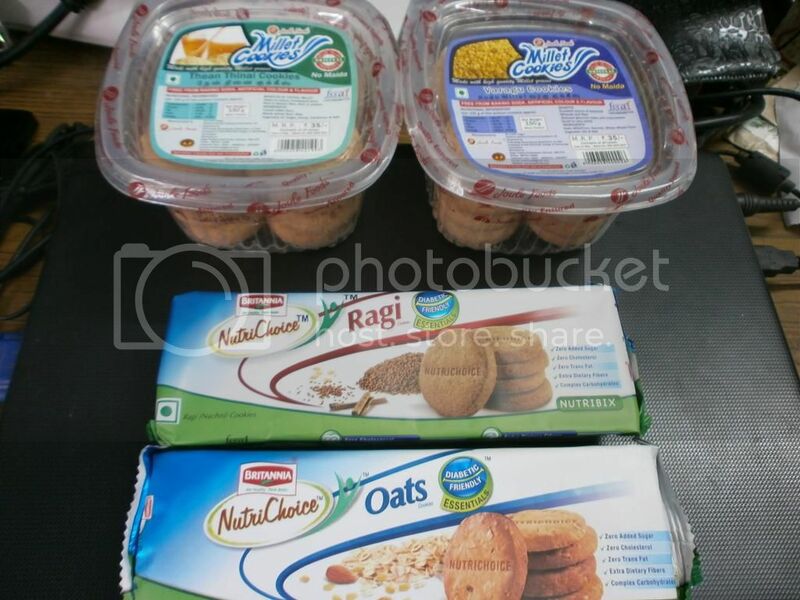 Britannia also makes NutriChoice 5-Grain and Digestive biscuits, which I guess are healthy too. But the Oats and Ragi biscuits mentioned above have been labeled as ‘diabetic friendly’ and hence I hope my sugar-level will not rise dramatically by eating them. I found the millet-based biscuits manufactured by Joule Foods in Organic shops and Nilgiris Supermarket near my house. These cookies are good. These biscuits are not only healthier, but are reasonably tasty. If you are like me – health-conscious and all – you won’t mind the little sacrifice of taste for healthy snacking. Eating healthy food is the best medicine. Go ahead and switch over to healthier biscuits now. PS: Do you know any other healthy biscuits? Let me know in the comments section. Shifting to healthy biscuits is a good idea. Problem is, majority times, companies in India lie about sugar content and other stuff. Yeah, but the sugar content and other stuff should be lesser in these biscuits, compared to normal ones. That should be sufficient for a start, I guess. Yes, bourbon is too good. I eat it more frequently that I might like. But it’s not healthy!